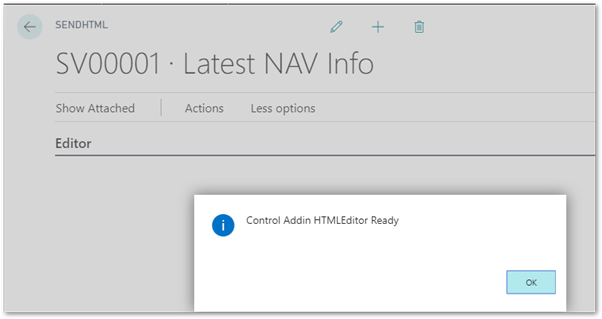 I’m not going to rewrite the guide for setting up your VS Code environment for Extension development, but we’ll go through the basic steps of creating your extension assuming you have a functional NAV/BC environment to work with. Our AL Extension does not need the heaping pile of source library files that our Angular App will, so we’ll keep them separate. Mostly I’m getting Reason: Not Found errors and you probably will too. It defaults to looking for an instance on localhost called BC130, not the On-Prem default, DynamicsNAV130. Thankfully it drops you right to your new launch.json file. Change your Server and Server Instance as appropriate. You may also need to update the Authentication from UserPassword to Windows, depending on your installation. When you hit Save on this file, you should get a pop-up that notices you don’t have your Dynamics Symbols from the server. Hit Download symbols to correct that. If you don’t get this pop-up, press Ctrl+Shift+P and select AL: Download symbols. You’ll probably want to update the app.json file next with info relevant to you. More details on that here. Make sure you have a strategy around your idRange with your organization/customers. For our demo, we’ll use object range 73000 to 73050. When I save this change, my HelloWorld.al file will go red in the list, indicating a problem, but that’s ok, we’re going to delete it. Go ahead and do that now. Quick Aside: Microsoft has some guidelines on the expected standards for Extension development. Waldo has not only useful recommendations that build on top of that, but also VS Code Extensions to support it. I’m new to this, but we’ll try to follow Microsoft’s throughout. If I was making a fully-functional Extension, with logging and setup the way we should, I would absolutely follow Waldo’s. Now, strangely, Microsoft’s “AL Go!” we ran to create the basic folder/files? That doesn’t setup the folders to match their guidelines. It’s just a nearly empty project. I personally find Pag5093-Ext73001.AddHTMLSend.al just awkward to type or retain, but I presume this is a useful naming schema at some point. Now hitting F5 will run the solution with your extension installed and active. I’ve noticed that here and there I sometimes have to force refresh my browser to see the changes, but that’s no big deal (Ctrl+F5 and it’s fine). Great, the page exists and is working. Now let’s do more interesting things with it. This won’t do much, but we can test that the Control Addin works by listening for the ControlReady event in AL. Two different errors I’ve mentioned our need to avoid. In the former, our Angular is looking for <app-root> in the HTML, which won’t exist. The latter is because the three Angular scripts MUST load in the right order, in serial not parallel. If we just add the following JS to init(), we can solve the first issue, right? Although this property is optional, the control add-in must either specify the StartupScript property or specify one or more scripts. Scripts can be either external resources referenced using a URL or can be embedded within the extension. 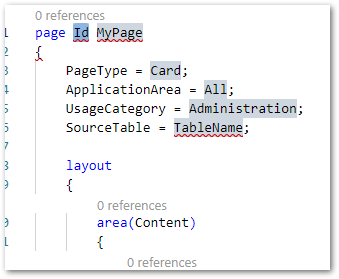 Embedded script files must be added to the extension project folder in Visual Studio Code and referenced using a relative path. For security and usability reasons, it is recommended to reference any external scripts by using the HTTPS protocol. Scripts are loaded immediately when the control add-in is initialized. So… what precisely is the difference? One takes a list, one takes a single file – but both are executed immediately. Useless for our needs. That’s all we have. A lot of trial error and help from Netronic’s fabulous Blog Series on their similar battles and I found how to hijack the GetImageResources call to load JS files later. First, we need to put all our files in the right place. This will get annoying to do manually and we’ll have to do this every time we build our Angular solution, so a quick batch file should help. Now, we still have ANOTHER weird barrier with GetImageResource – it’s not path aware! I think this may be a bug, so we’ll see if this remains necessary. 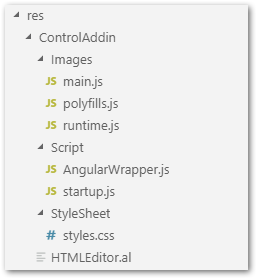 //Dynamically load the 3 angular Dist JS files. 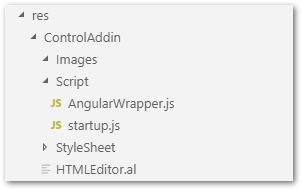 It’s not perfect and it doesn’t DO anything yet, but if you’ve made it this far in your copy, you technically have made an Angular application work inside NAV/Business Central. Great posts so far, would have loved to see this as a tech days session!